Featured in main subscription box on 12 October 2017. Find the brewery on Twitter at @wildhorsebeer and on Instagram also at @wildhorsebeer. Serve this beer at 4°C to 7°C; stick it in the fridge early so it has time to cool right down. As ever, be wary of over-chilling your beer. More chill means less flavour. This beer also contains dextrin malt. Dextrins are unfermentable sugars, which should equate to a fuller body in the finished beer – something you can also get from the wheat. Expect a light yet creamy beer with some fruity oomph to finish. Once again we have a helpful brewery, telling us exactly which hops they’ve used. Here’s today’s line up. Yeast fans, this beer uses San Diego Super Yeast WLP090. Apparently it brews ‘clean’ meaning it doesn’t produce many esters. This should allow the grains and hops to come through really well. It’s a light beer so look for light food. Classic pairings include steamed mussels and other seafood. I suggest a blood orange and fennel salad with a nice slice of sourdough. The fruity hops should play well against the crisp acidity of the salad, which in turn should match up with the tart character often found in wheat beers. The sourdough will also help bring out the malt side of the beer. 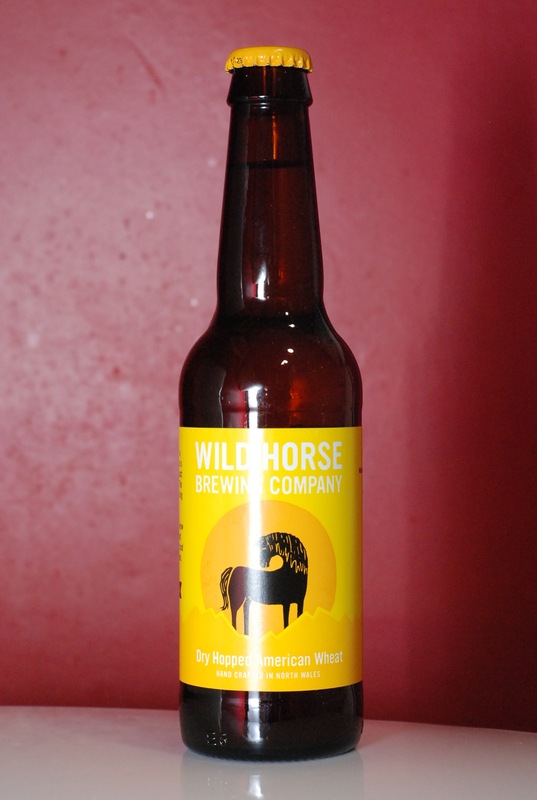 Read more on this beer from BeerBods and Wild Horse Brewing Co.